After a six-year tenure, Pathways Charter School will close in June. The West Bend School Board voted to discontinue Pathways Charter School’s contract in a 5-1 decision at the Jan. 28 meeting. This decision will take effect June 30, when the school will officially close. Superintendent Don Kirkegaard said at the board meeting that after two months of discussion, he would stand with his original recommendation to not renew the school’s contract. Kirkegaard says he made his recommendation based on five factors: cost, participation, student performance, anticipated change in location, and the disconnect between the mission and enrollment. 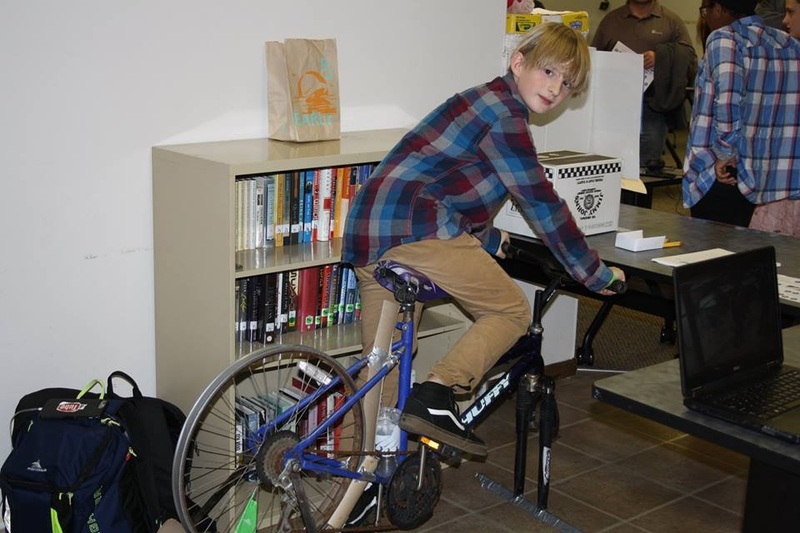 “When examining the facts related to the five factors, I feel the resources used to fund Pathways can be used throughout the entire district to help provide a curriculum and structure that is conducive for all our students,” Kirkegaard said. School board member Tiffany Larson expressed some of the financial concerns surrounding low enrollment numbers. Enrollment was expected to cap at 125 students by the end of the initial five-year contract, but had an overall high of 69, and enrollment did not increase even as the school expanded. Larson said that Wisconsin charter schools are granted significantly more freedoms than public schools in return for a greater level of accountability. This is tracked by a five-year contract, with certain expectations attached. School board member Ken Schmidt was the single opposition vote. At the meeting, he expressed concerns about meeting the needs of students and having a smooth transition from Pathways to a traditional school. 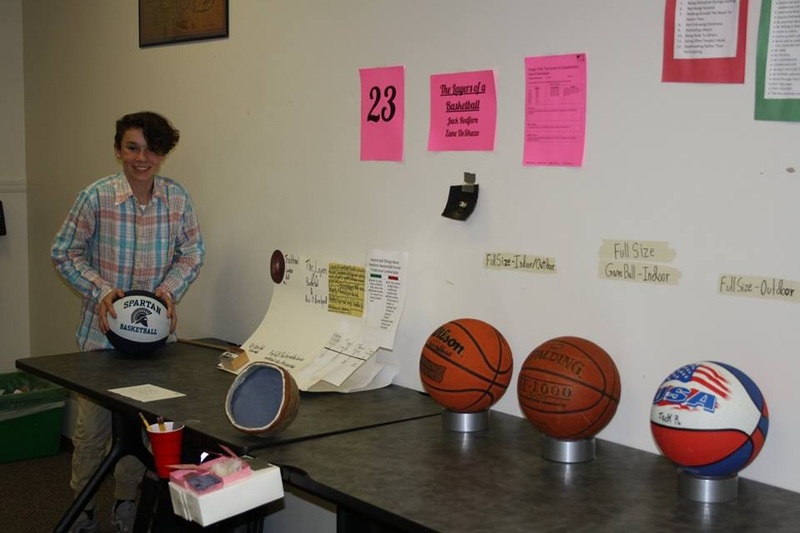 Jack Redfern, an eighth grader at Pathways Charter School, presented the history behind how basketballs evolved at the Project Showcase Night Nov, 1, 2018. Photo courtesy of Becky Derlein, Pathways math teacher. Anton Balzar, lead teacher at Pathways, expressed similar concerns and worried that the students’ needs would not be met in a conventional school. Courtney O’Connell, president of the Pathways governance council, says that there will be a transition process for Pathways students. This will include an initial meeting with families and WBSD officials to discuss the needs of the students. “From there, the district will determine how to ease the transition for individual students as well as groups of students; how they will best accommodate the needs of one and all students at Pathways,” O’Connell said. Kirkegaard further elaborated on the nuances of this transition period. He plans to offer opportunities such as tailored learning environments, scheduling into the appropriate courses and retaining the counselors that students had while at Pathways. “I am certain that the district, Badger Middle School, and East and West High Schools will do everything possible to address the needs of the Pathways students, and make their transition to full-time students at these schools smooth,” Kirkegaard said. After Pathways closes, O’Connell says the district will do a valuation of assets within the Mutual Mall, the space where Pathways is located, and all materials and equipment will be moved to other locations determined by the needs of the district. “While the closing of Pathways was not what the Governance Council, staff and families of Pathways had desired, we must move forward with the district to ensure students will be given the tools and resources to be successful in their new environment,” O’Connell said.